The Tayana 42 Aft Cockpit/Trunk cabin is a Robert Harris design. The trunk cabin version of his outstanding Tayana V-42 will satisfy those who prefer the more traditional look. The low cabin enhances the yacht's graceful area of power and speed for which this yacht has become justly famous. The new Tayana 42 is a contrast of function and easy maintenance above the deck with rich Teak/Spruce woods below deck.Above the deck she is "overigged" and all gears "oversized: to insure low wear and reliability for extended offshore use. Tayana specializes in the ability to modify interiors to meet the individual needs of the "particular" live-aboard sailor. United Yacht Sales New Jersey would love to guide you through a personal showing of this 42' Tayana Vancouver Aft Cockpit 2019. 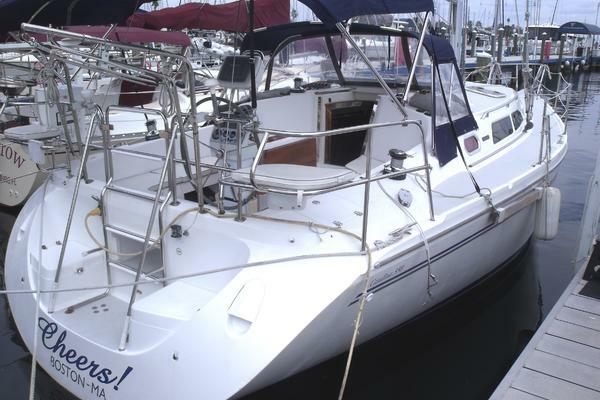 This yacht for sale is located in Long Beach FOB, California. For pricing details or a showing please contact us by filling out the form on this page and we will get back to you shortly! 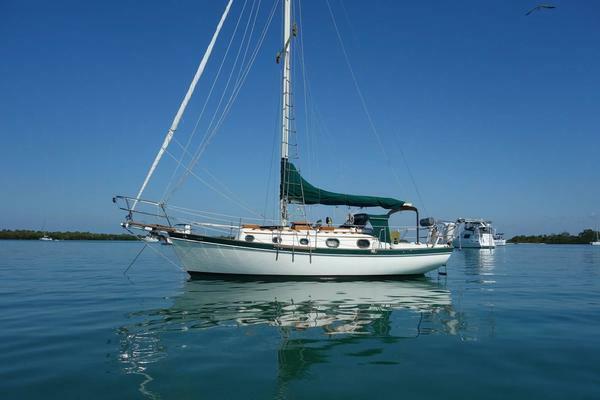 The new Tayana 42 is a contrast of function and easy maintennce above deck with rich Teak/Spruce woods below deck. Above deck she is "overigged" and all gear "oversized" to insure low wear and reliability for extended offshore use.Tayana specializes in the ability to modify interiors to meet the individual needs of the "Particular" live-aboard sailor. Hull:Hand laid-up FRP hull, white with blue cove stripe and boot top; teak rubrail.